February started off with a winter storm that delivered hazardous driving conditions and frigid temperatures from Kansas to Michigan; dumping 20 inches of snow in some areas before setting its sights on the snow-weary Northeast, The Weather Channel reports. Use the winter storm safety tips below to keep you and your family protected. The latest round of snow is a sure sign the 2015 Blizzard season is underway. 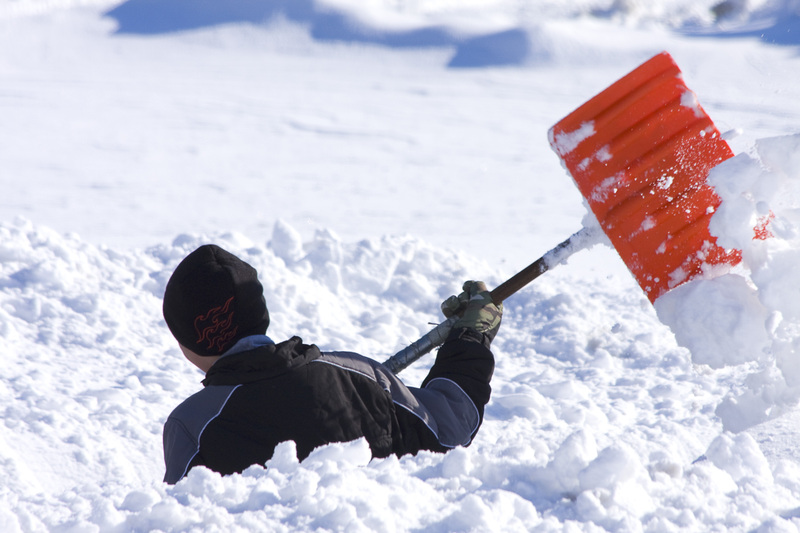 Homeowners need to prepare for even more winter weather in the coming weeks. Staying safe during a winter storm requires common sense as well as preparation. While people rush to hardware and grocery stores after hearing a forecast, there is no need procrastinate. It’s a good idea to pick up last-minute essentials such as food, but winter storm safety requires being ready for every snow event, not just the big one. Prepare for power failures: Stock up on batteries for flashlights and small lanterns. Also keep candles on hand as they provide light and some heat. Keep out the cold: Add insulation to water pipes to prevent freezing in a power outage. Increasing attic insulation and investing in new windows also helps keep warm air in and cold air out. Be ready to stay indoors: February often means spending more time indoors. With the continued heating of the home, dry air can become a problem that leads to decreased comfort, health issues and damage to the home. Humidifiers are the most effective way to add moisture to a home’s air. Inspect your car: Maintaining tires and batteries are two of the best investments commuters can make in the winter. A hard to turn over engine is a major sign of a failing battery. A battery should be replaced or inspected every 3 years, according to Firestone. To check tire condition, use the penny test. Simply place a penny in the tread. Get new all-season tires if you can see Lincoln’s head. Shop before the snow arrives: Even in northern parts of the country, homeowners often wait until a winter storm hits to check the snow blower or replace last year’s broken shovel. Purchasing or repairing these items early in the season can keep a family a step ahead when hazardous weather arrives, since stores struggle to keep these items on the shelf during a blizzard. Winterizing a home and car can reduce the impact of the winter storms that are sure to continue throughout February. Don’t leave safety and comfort at the mercy of Mother Nature this year, prepare today. I have an Aprilaire humidifier,model 550. Should their be a small drip coming from the drain? I know their is more water coming out when the valve opens up. Thank you for contacting us regarding your humidifier. When the unit is not operating there should be no water coming from the drain unless it is still just dripping from the last cycle (this shouldn’t take long). If you are having dripping I would probably contact a tech to take a look at the solenoid valve as it may be stuck open slightly. Previous Previous post: Energy prices are unpredictable! Next Next post: How is the air in your home?